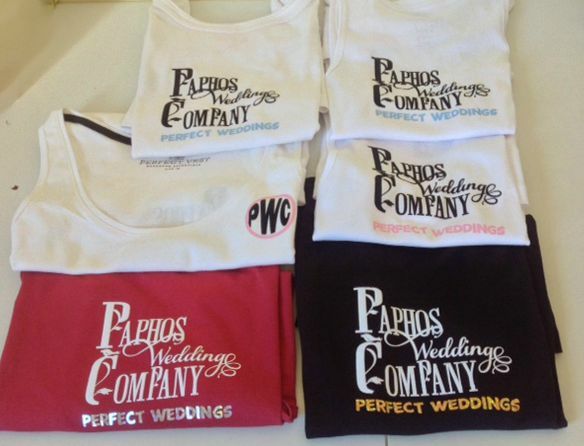 Shown here are the T shirts we wear so everyone knows who the wedding planners are. We made these ourselves using our cutting machine and heat press. If you want T shirts or similar items we are happy to make them for you. Get in touch now and we’ll be happy to discuss any special requirements you may have.